Yoga is an ancient form of exercise that has already gained a global recognition. More and more people are adopting this form of exercise regime to stay healthy and fit. It is one form of exercise that can be done by people of all age groups. Its exercise positions are called ‘Asanas’. Not only the common people but several movie stars and celebrities are obtaining the benefits of yoga. Let us find 5 easy Yoga Asanas that can be beneficial to start with. By practicing yoga not only your body stays fit but the mind as well. It helps cure many diseases, apart from, weight reduction that other exercise forms cannot cure. 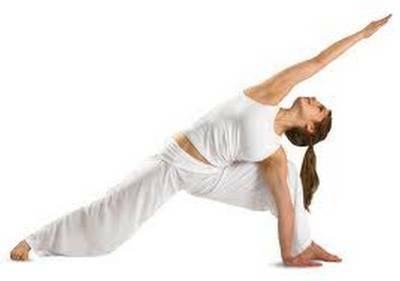 Not to forget, people who have perfect body shape too are indulged in yoga as it is for overall fitness and health of the body. Although yoga has many asanas and newly evolved fusion variations like power yoga, Bikram yoga etc, that can be practiced but a few basic ones are easy to perform and are great for our body too. The first one is the ‘Paschimottanasana’. This asana pacifies your brain and provides a relief in stress and anxiety. The asana is beneficial for people with a weak digestion. Paschimottanasana also reduces obesity. How do to this asana? All you have to do is sit down on the floor. Keep your back absolutely straight. Stretch out your hand and then slowly bring them down to touch your ankles. Remember you must not bend your knees while doing this. Repeat the same four to five times. After you are done with it, breathe in deeply and then relax. The second one is the Bhujangasana. It is also called the Cobra pose. It is believed to strengthen your backs, is good for your heart and your arms. This asana also improves the functioning of your digestive, reproductive, and urinary systems. First, lie down on the floor on your stomach. Stretch out your legs and keep your palms flat on the floor by your chest. Keeping your lower body touched to the ground, raise the upper half as high as you can. The third one is the Trikonasana or the triangle pose. This improves the flexibility of the body, strengthens back and torso. This asana also helps you improve digestion. Furthermore, it reduces anxiety, stress, back pain and sciatica. Stand straight on the floor with your legs wide apart. Bend towards one side without bending the knees. Touch your feet or ankle with one hand and keep the other straight up. Reach as low as possible. Now repeat the same by bending the opposite side. While doing this Asana keep your head straight looking at the front. The fourth asana is the Uttanasana. This is one of the simplest asanas in Yoga. It helps make legs more flexible and the spine stronger. Your hips, hamstrings, and calves are stretched by this asana. This consequently improves the muscles flexibility, joints movements, and risk of injuries. This asana calms your mind and soothes your nerves. As a result, it provides relaxation in stress, anxiety, depression, and fatigue conditions. Stand straight and slowly raise your arms up. Now exhale and bend your upper half of the body and touch the floor or your feet. Try not to bend your knees. Repeat the exercise about 5 times. The fifth asana is Tadasana or the mountain pose. The asana virtually mobilizes the whole body and helps you relax. Tadasana also controls yours regulates your breathing. 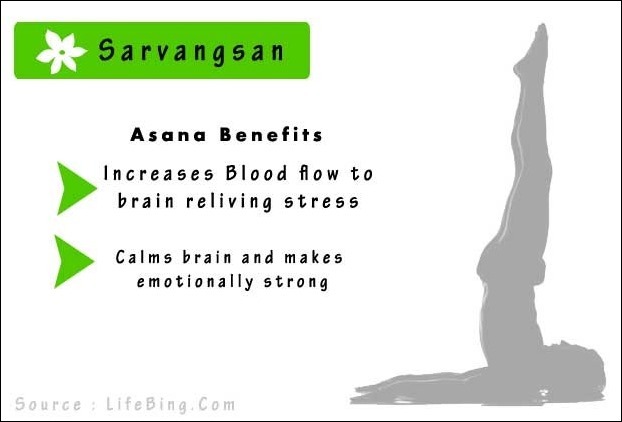 Also, the asana also improves mental alertness. Furthermore, it shapes the abdomen and buttocks and strengthens your thighs and knees. Stand straight with feet together and hands by your side. Raise your body to your toes and while doing this stretch your body taking your arms up. Hold the position for a few seconds and then come back slowly. 6 Stress Busting and Rejuvenating Yoga Asanas Some Popular Power Yoga Workouts 2 Yoga Positions To Reduce Weight Shoulder stand Yoga-Benefits, precautions and tips!